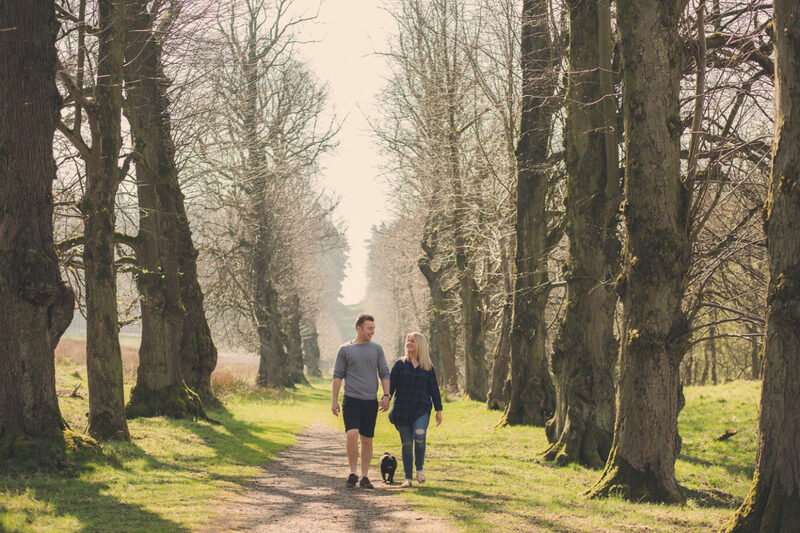 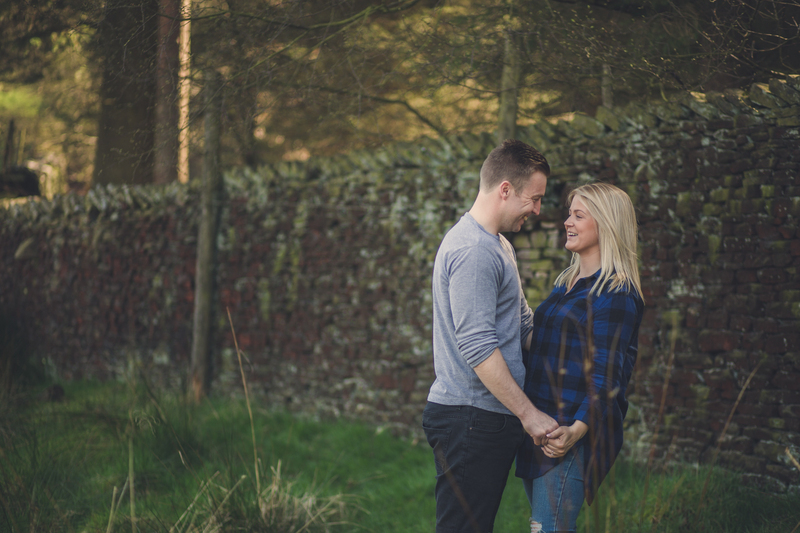 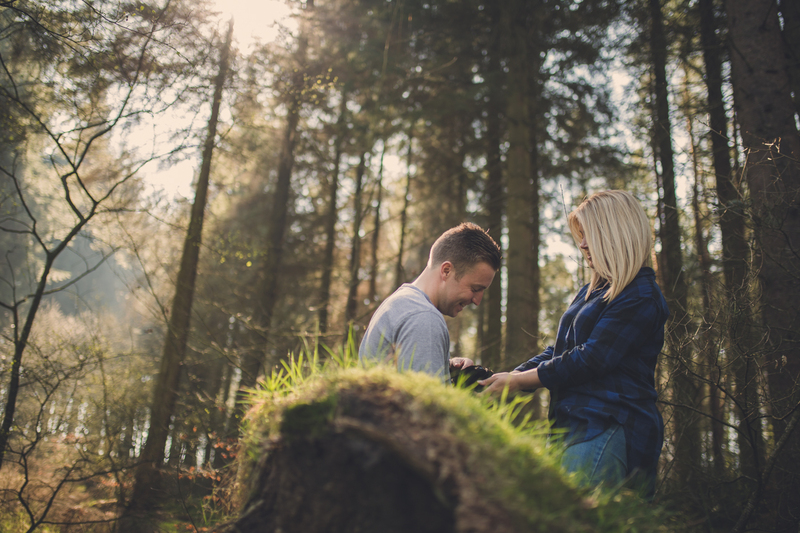 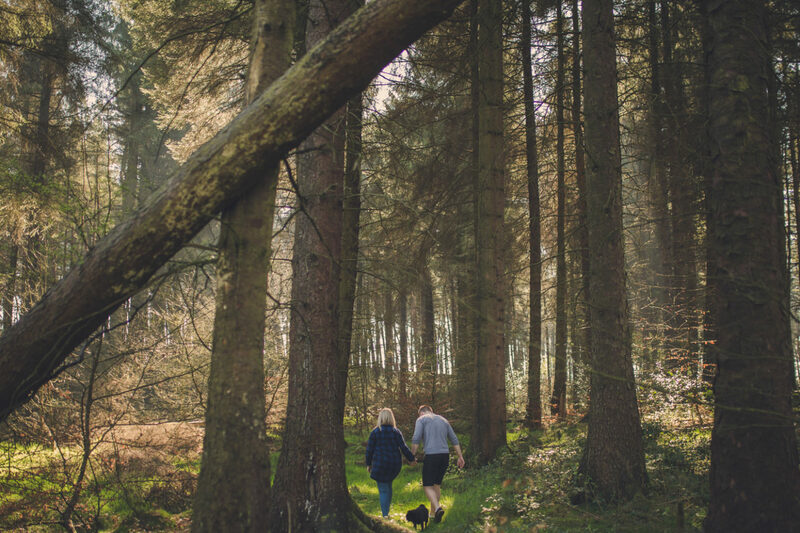 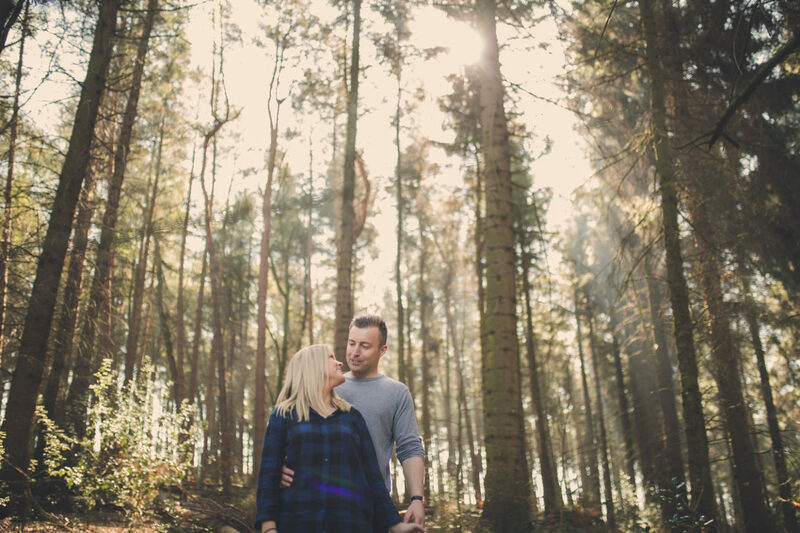 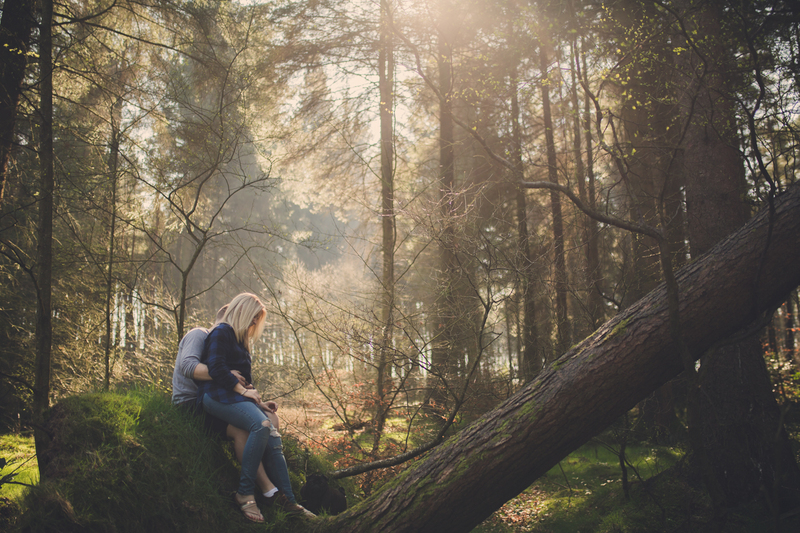 Cassie and Philip met us for a pre-wedding shoot at Lyme Park, a brand new location for me. 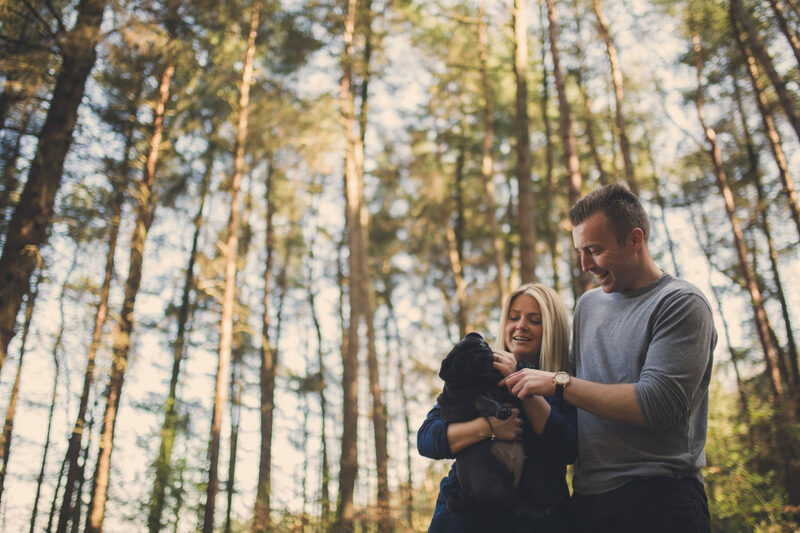 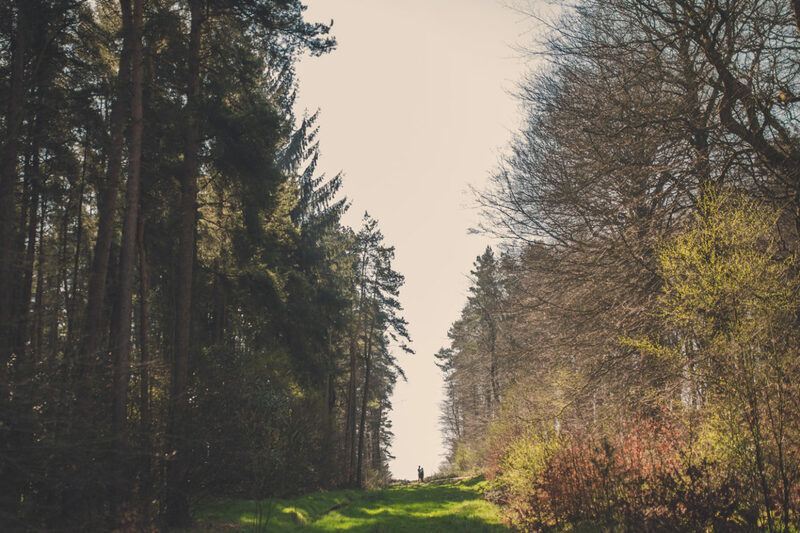 On such a warm and sunny day, the National Trust park was busy, so we headed off into the wilderness with their pug, Lola. 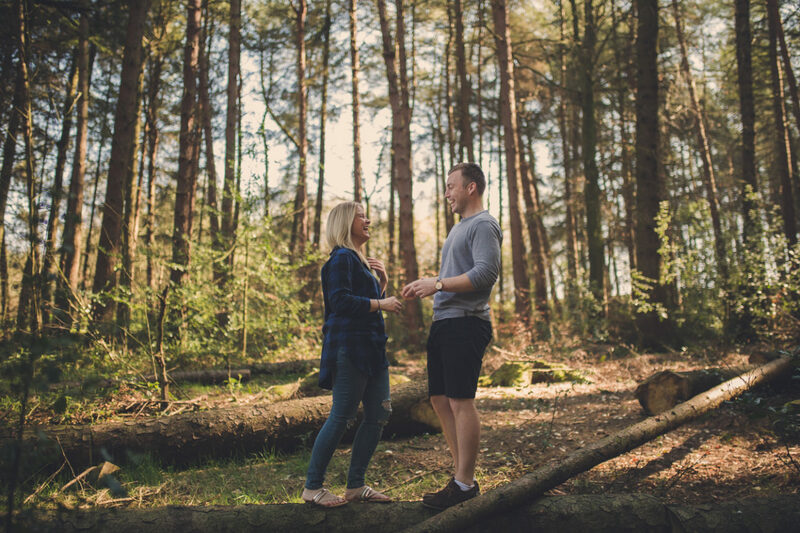 Initially, they felt a little nervous in front of the camera, which is why we do these shoots for each couple before the wedding day. 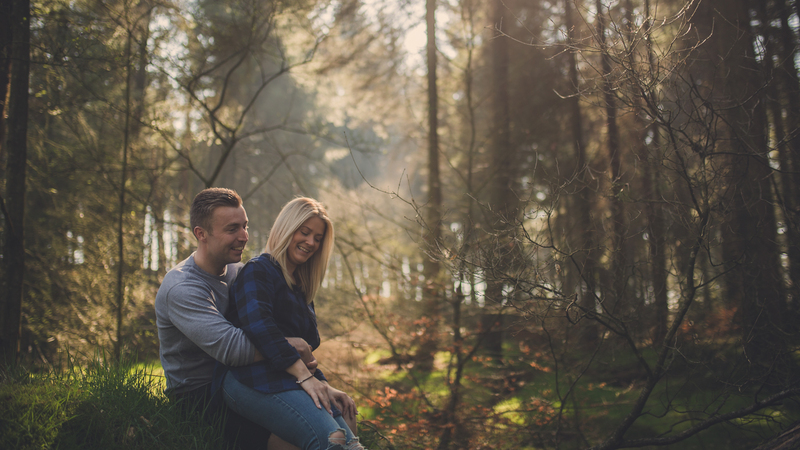 Having your photo taken isn’t something that happens a lot so it can be daunting, but we want to ease you into it a little so you feel more comfortable in front of the camera. 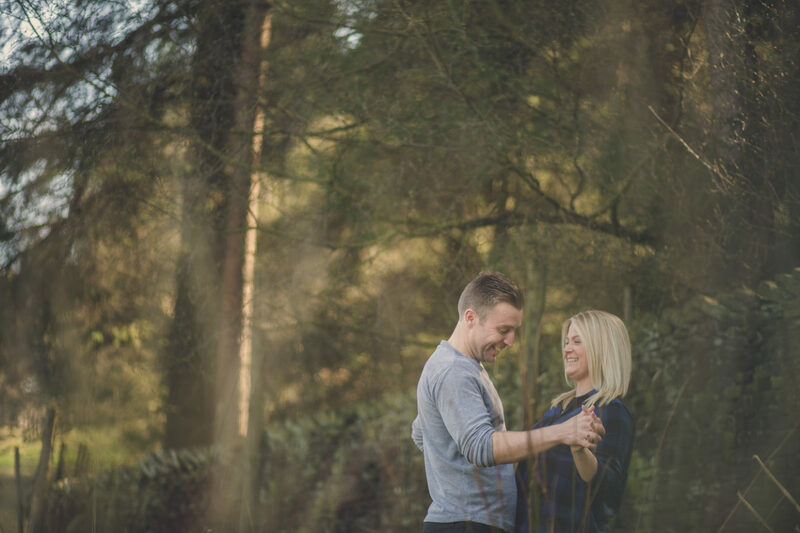 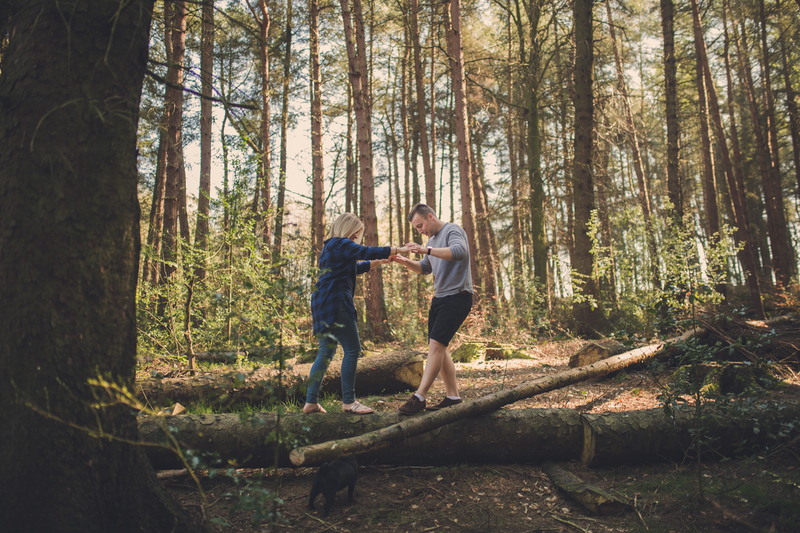 After a quick round of Mr and Mrs, and a ‘Dirty Dancing’ style dance on a log (see below) we settled right into their photo session. 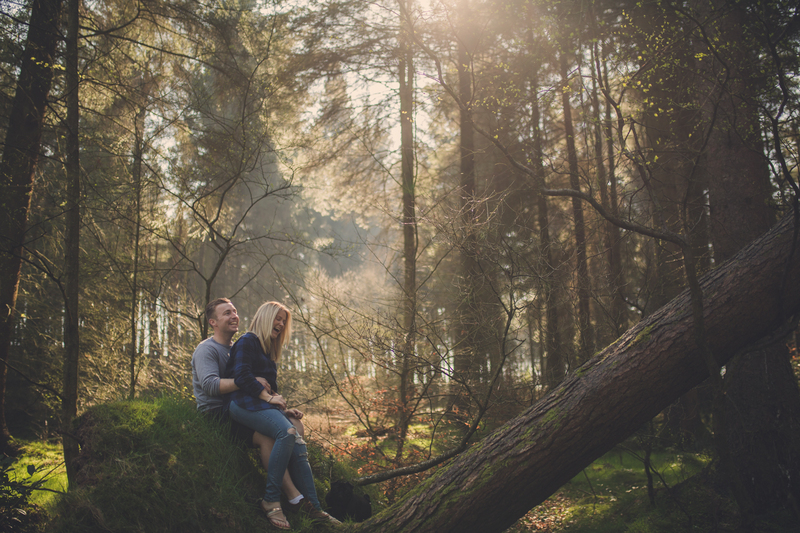 The light through the forest canopy was amazing, and the shadows gave us a nice intimate setting for our shoot. 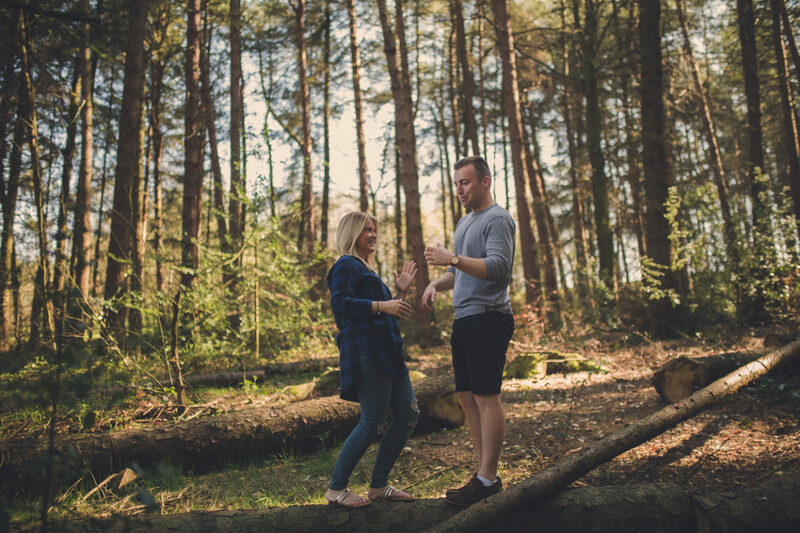 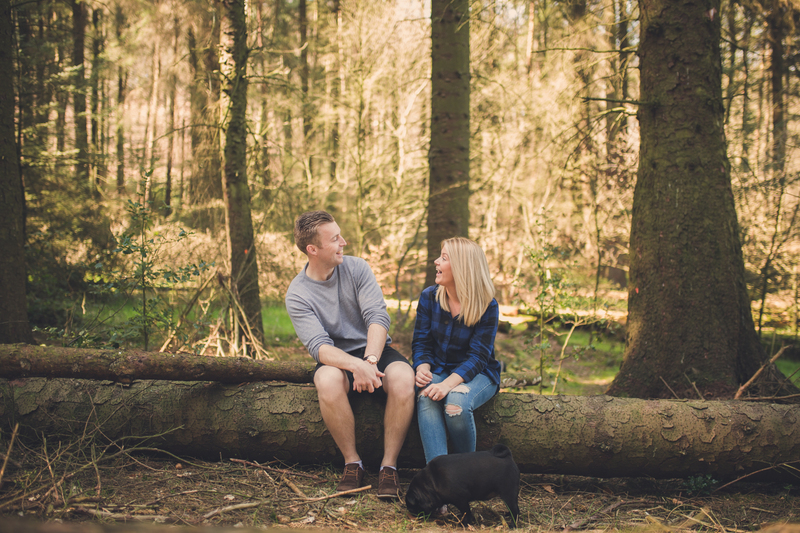 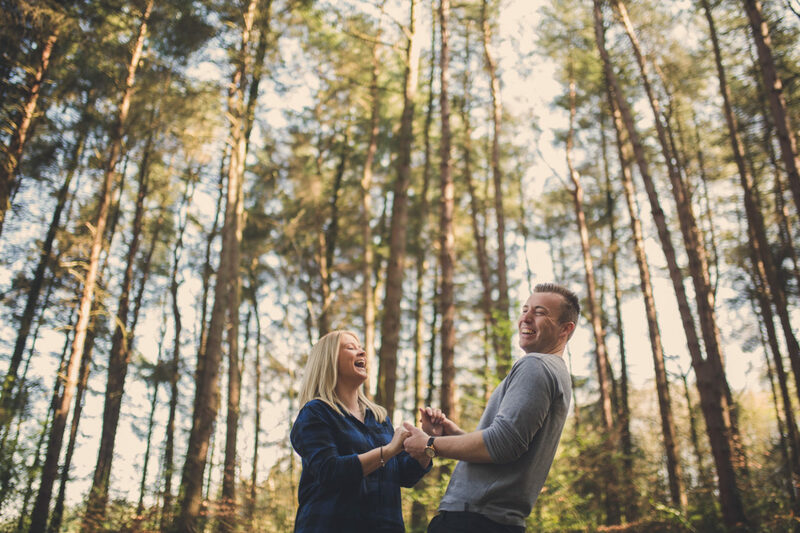 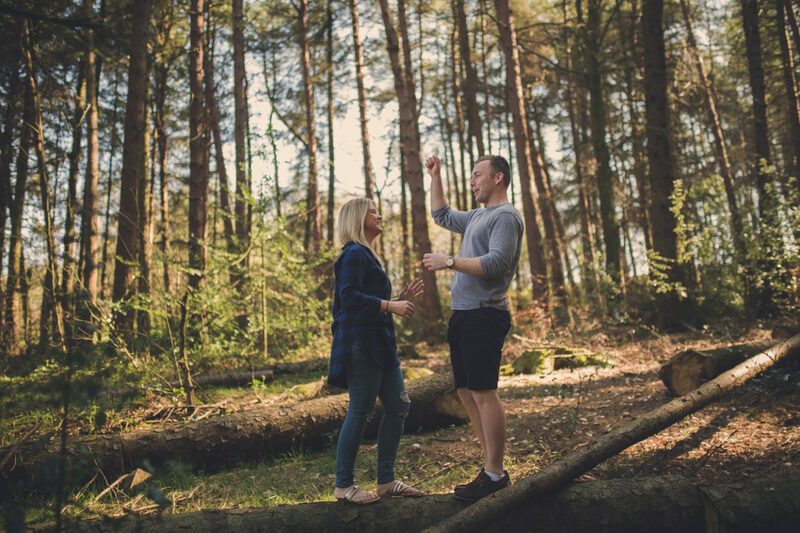 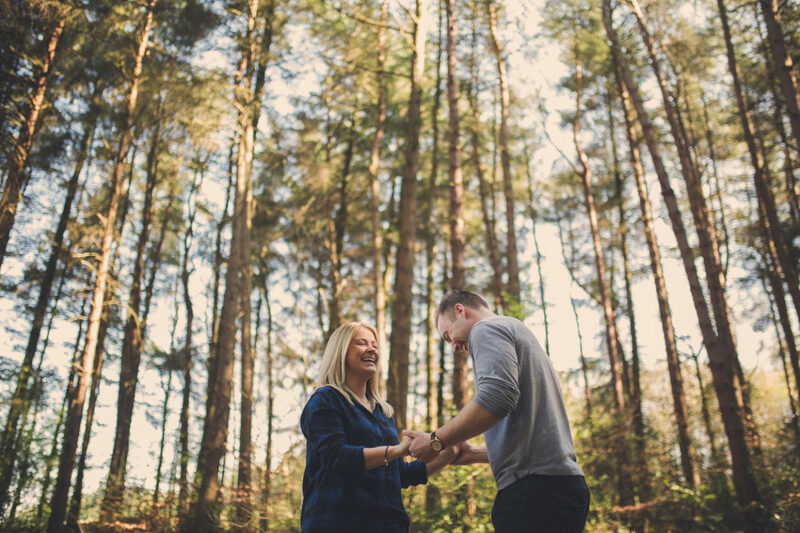 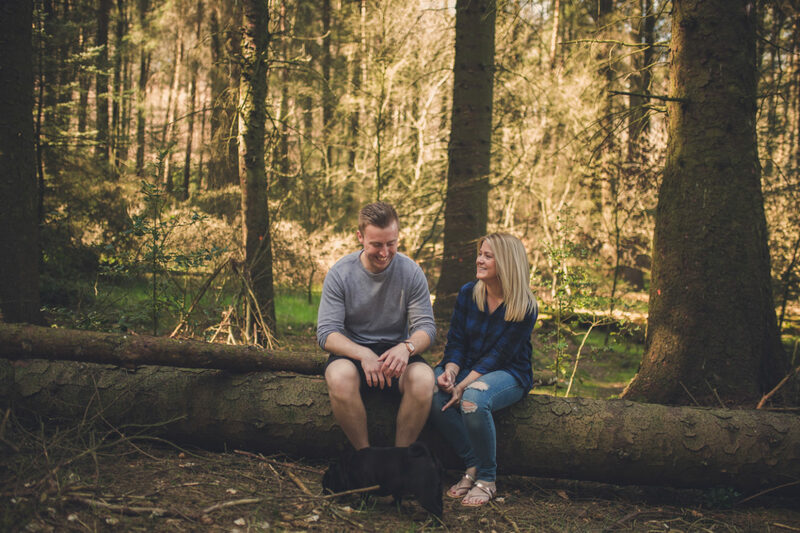 I can’t wait for their wedding next April at Colshaw Hall in Cheshire – they’re now super comfortable in front of the camera and are a lot of fun – game for anything! 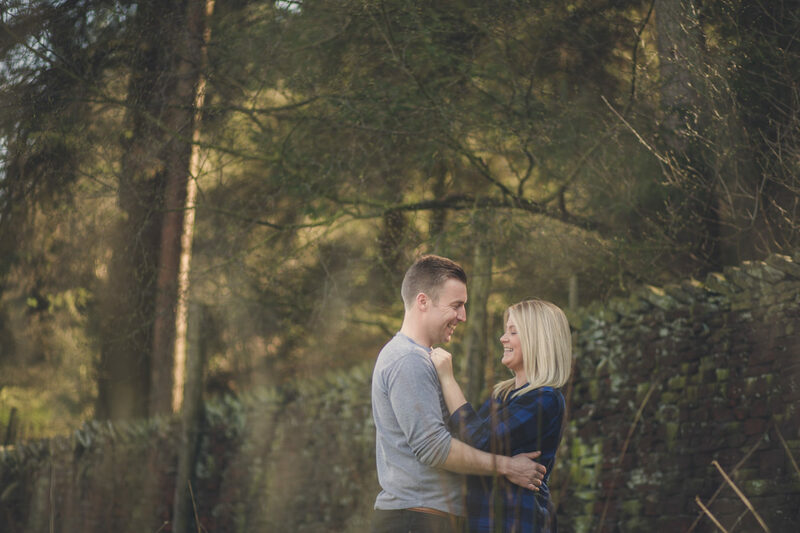 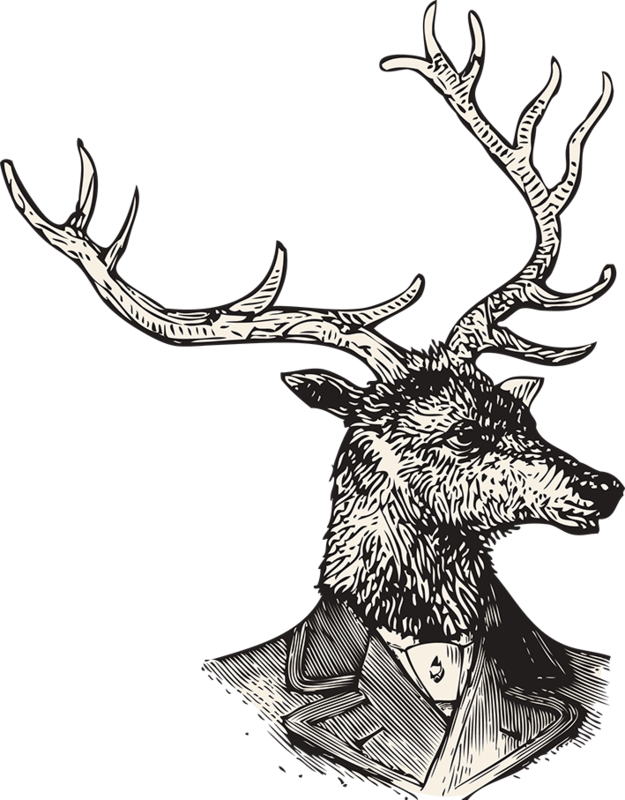 Looking forward to the big day guys!